Lovely, love the blowing of bubbles! Thanks for joining us in the fun this week at CASology! ---It is actually not bubbles, I meant dandelions!!!! Love it!! 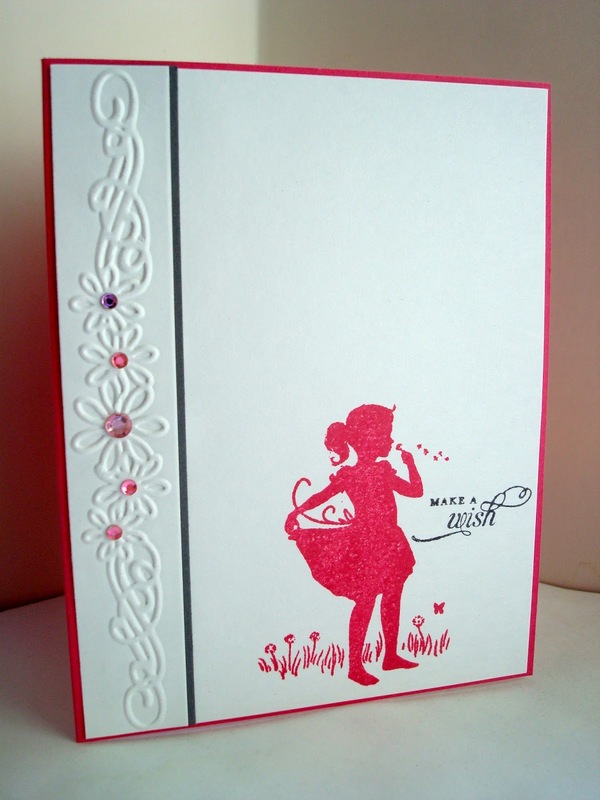 Silhouette in pink, fabulous, and love the embossed edge! 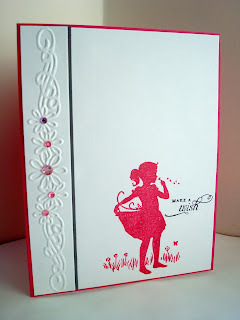 This is so sweet, I love the embossing! Thanks so much for joining us at CASology!